Monday, Warner Bros. affilate station WGN America announced their greenlighting of a new series based off the Vertigo title Scalped, with The Flash executive producer Geoff Johns and Doug Jung from Banshee. Scalped, written by Jason Aaron and illustrated by R. M. Guera, follows the story of Dashiell Bad Horse as he returns to his hometown on the Prarie Rose Lakota Reservation. The critically acclaimed western/crime series started in January 2007, spanning sixty monthly issues dealing with organized crime, poverty, addiction, and the struggle of Prarie Rose inhabitants to retain their cultural identity. Unsure if your cable provider carries WGN America? Visit their website to find out how you can gain access and check showtimes. 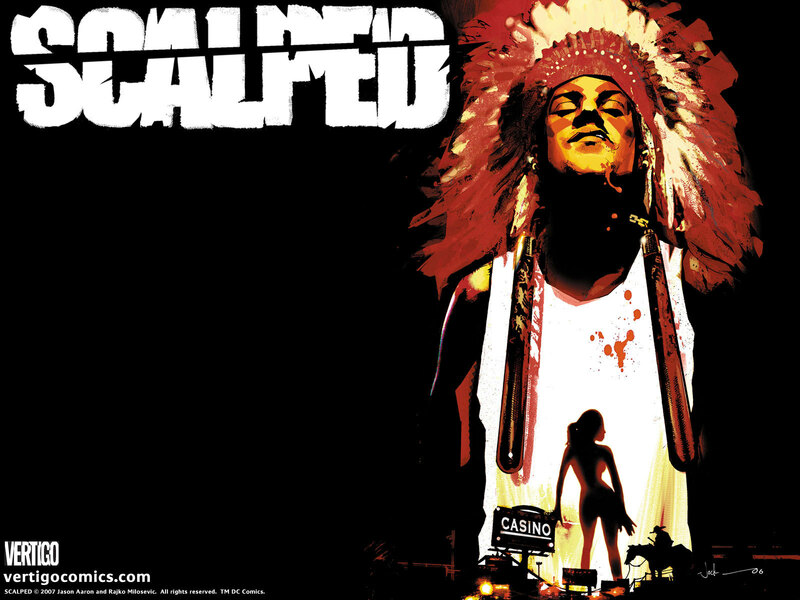 Also, don’t forget to show Vertigo some love and pick up your copies of Scalped (digital or otherwise) today!